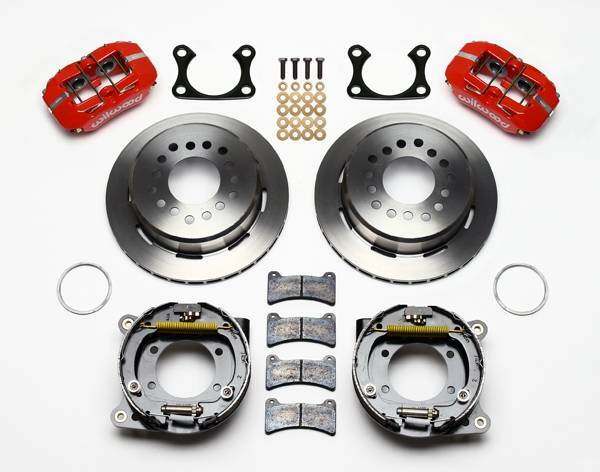 DynaPro low profile brake kits are designed specifically to fit most 14" or 15" wheels. Using an 11" rotor and 4 piston DynaPro caliper for stopping. 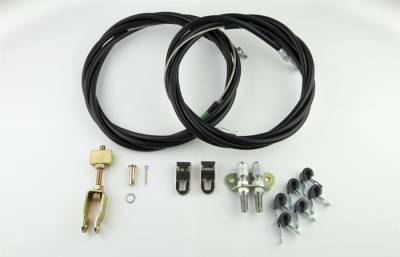 They feature an internal drum brake for parking. The forged aluminum caliper is built with stainless steel pistons and loaded with our high performance pads. This brake kit is designed for one of the following housing flanges (see additional photo). The small Ford flange is common in 1965-69 Mustangs and has an axle offset measurement of 2.66". The Big Ford flange is coming in later Mustangs and larger cars and has an axle offset of 2.36". Includes universal parking brake cables.